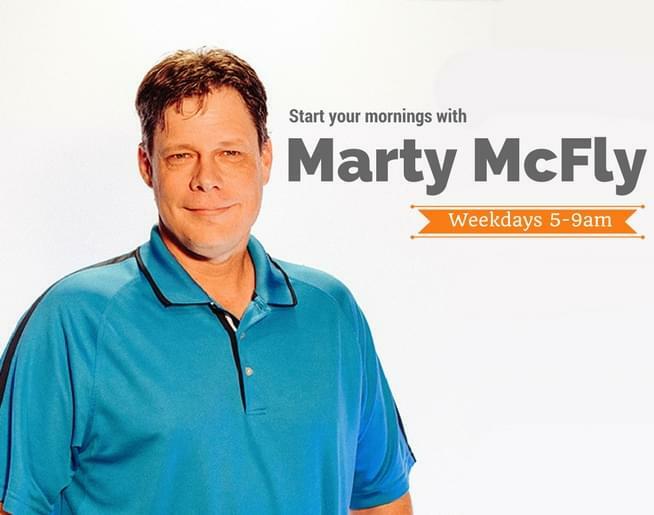 Marty McFly – Weekdays 5am – 9am on 97.9 NASH ICON! Marty got his start in radio in 1985, when a close friend told him of an easy way to make money…radio! At the same time, Michael J. Fox was playing a character with a similar name in the major motion picture called “Back to the Future”. Coincidence? Marty is married with two sons, and spends his free time on motorcycles. Marty says “My whole family is into bikes, I still own a dirt bike, in addition to my street cruiser, and the rest of my family is into 4-wheelers. We had to build a separate garage to store everything, so most of my spare time is spend fixing or cleaning those things”. Marty feels blessed to be on the radio for a living. Marty says “ I never knew what I wanted to do with my life until one day not long after high school I found myself in a radio station, and I just knew this was it”. He must have been right because almost 30 years later he’s still at it. The four times nominated “CMA Air Personality of the Year” and three time “ACM Air Personality of the Year” nominee helped the stations he worked at win a combined twelve CMA/ACM “Station of the Year” awards! He has also been nominated for Billboard Magazine’s “Air Personality of the Year” in 1996, Bobby Poe Magazine’s “Large Market Air Personality of the Year” in 1993, and Country Aircheck Magazine’s Large Market Air Personality of the Year in 2012. 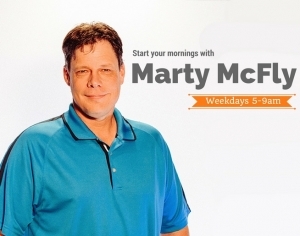 Catch him each weekday morning from 5am – 9am!